The PlantPure Kitchen - Review & Recipe Test! The PlantPure Kitchen is a new plant-based cookery book from Kim Campbell and is a follow-up to the 2015 film PlantPure Nation and companion cookbook of the same name. The author describes the PlantPure goal as to provide people with 'the knowledge, tools, and recipes to build delicious plant-based meals that are both healthy and fun' and the content of the book seems to fit this well. Containing 130 recipes and lots of tips for getting started on a plant-based diet the book is a great introduction for anyone looking to make changes to their diet. The recipes cover all areas from breakfast to dessert and everything in between and I've bookmarked several that I'm keen to try out including a Spicy Nacho Sauce and Raspberry Jam Bars. In addition to the book review, I thought it might be fun to try out one of the PlantPure recipes and share the results with you. As mentioned above, there are a handful of recipes I bookmarked to try but the one I decided to go with for this post is the Chickpea Chocolate Chip Cookies! Although I was aware of the idea I'd never made cookies with chickpeas before but the step-by-step recipe was simple to follow. The cookies are made using a blender, which again was something I hadn't really done before but it definitely made the process easier. I substituted the recipe's powdered peanut butter for natural peanut butter from a jar and the Sucanat for coconut sugar plus a dash of water and as you can see the cookies turned out really well! 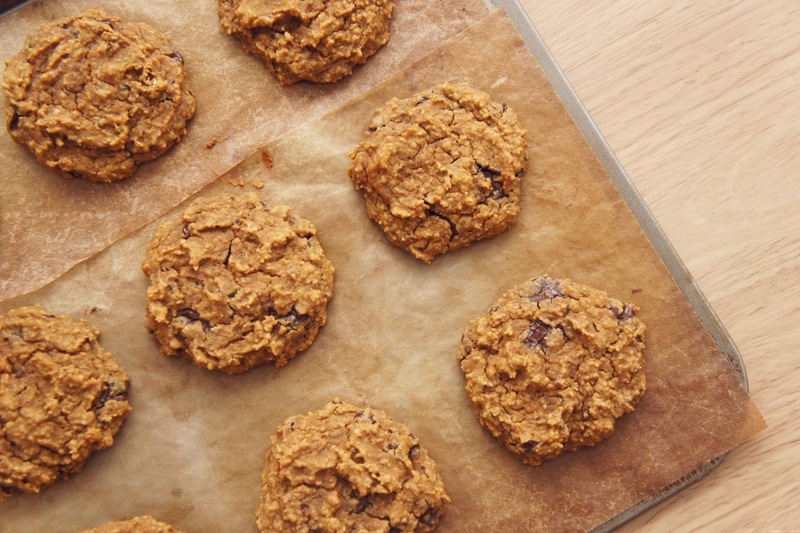 Free from gluten and dairy, the finished cookies are fairly dense but have a soft texture that would make them a great protein-filled snack.